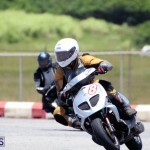 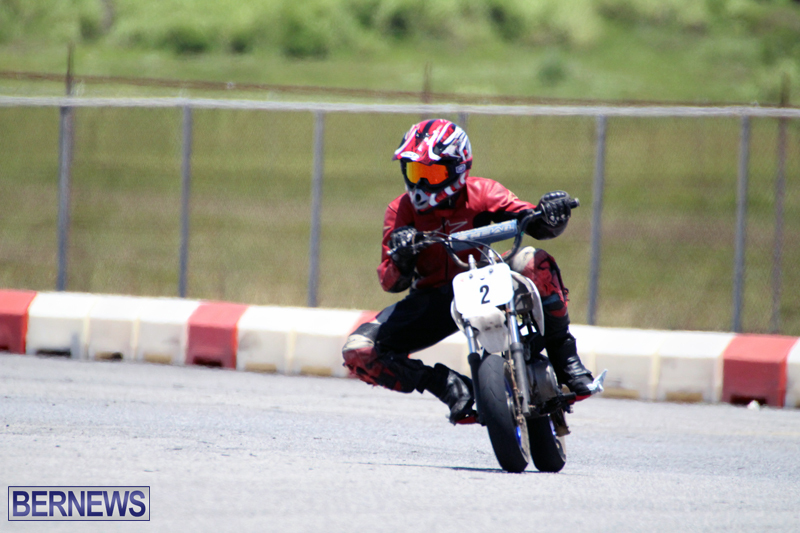 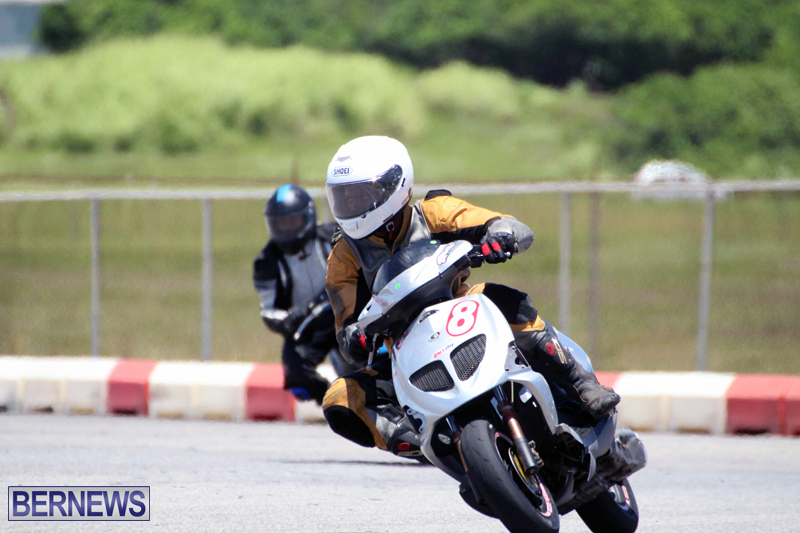 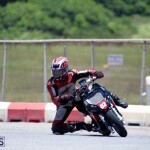 Action resumed in the Bermuda Motorcycle Racing Club [BMRC] season with the running of the Wett & Wild Trophy Race Day. 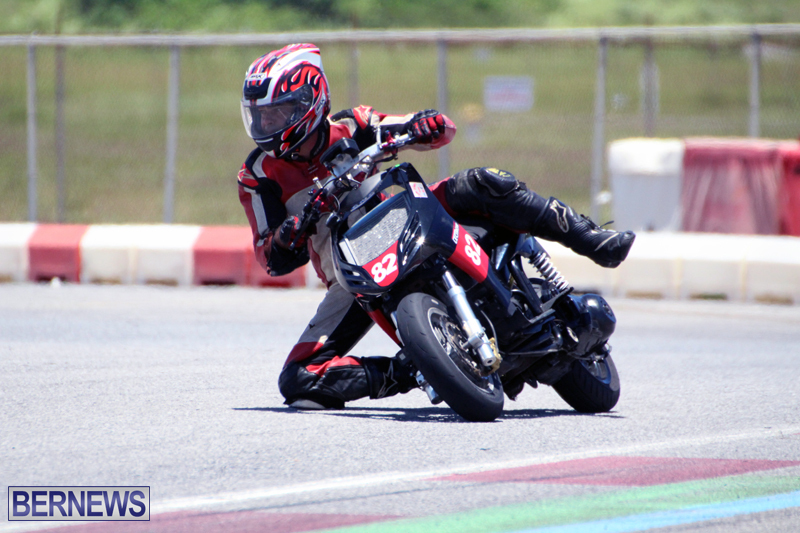 The Wett & Wild sponsored race day was an action-packed day of high-speed motorcycle racing at the RUBiS Southside Raceway. 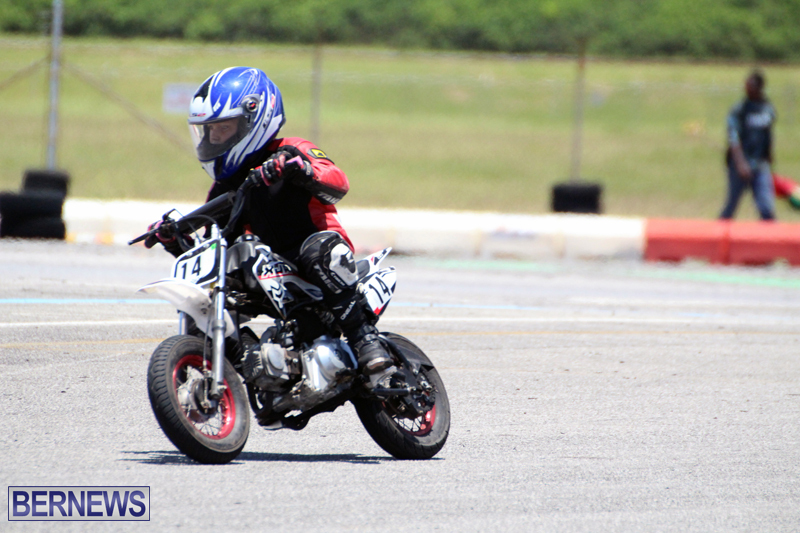 As the BMRC completes its third race day of the 2018 Circuit Racing Championship, more riders are filling the grid and spectators young and old are increasing. 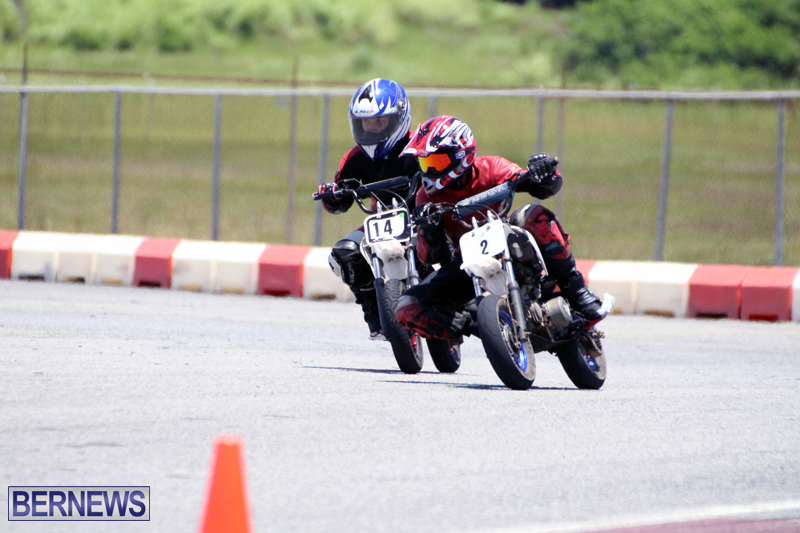 With a track layout change from a speed track to a more technical one, both youth and adult racers’ skills were put to the test. 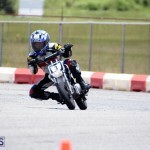 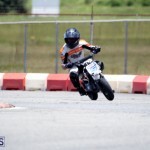 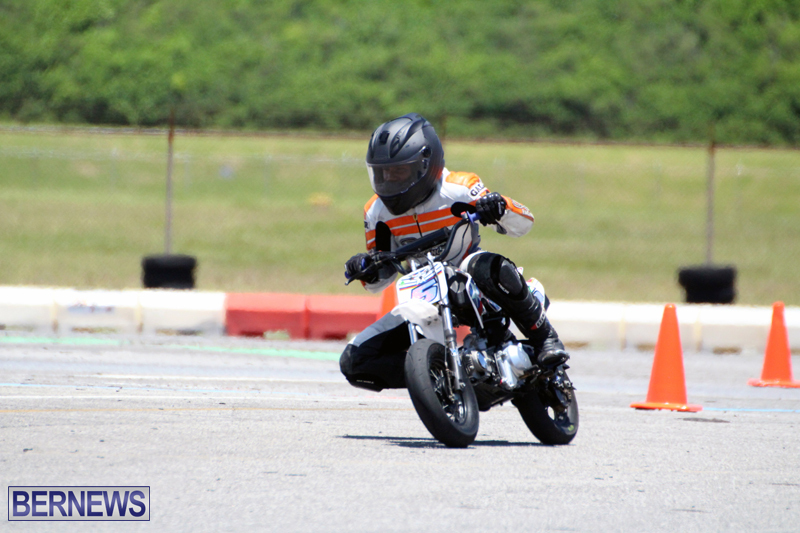 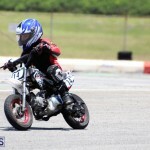 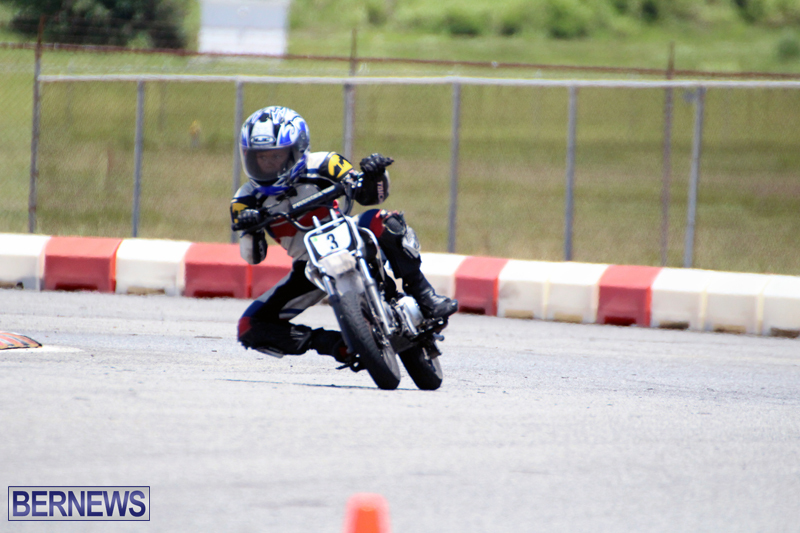 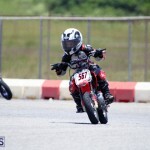 The Minibike class kept spectators gripped to the fence with Kymaree Pitt putting on a strong performance, often battling with his Godbrother, Sheun Simmons, and frequent contender, Jediah Cumbermack. 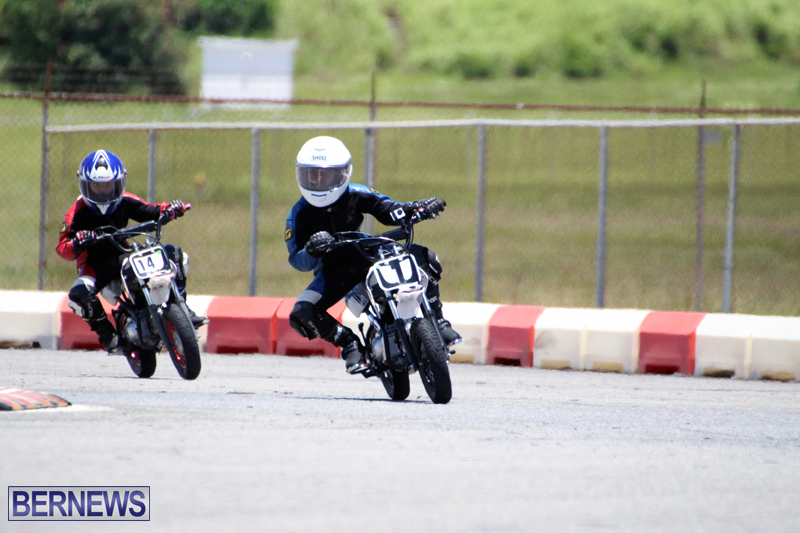 Pitt took first place in both Heats 1 and the day’s Trophy Race, Heat 3. 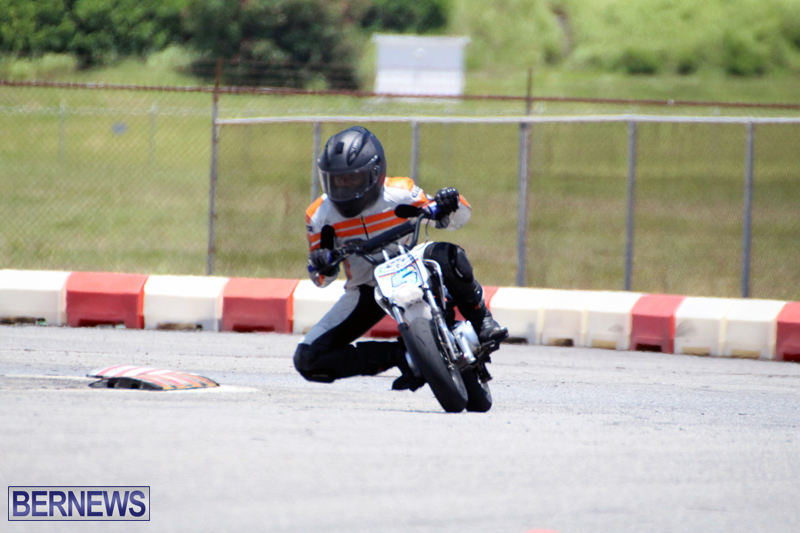 Simmons took the other first in Heat 2 of the day’s event. 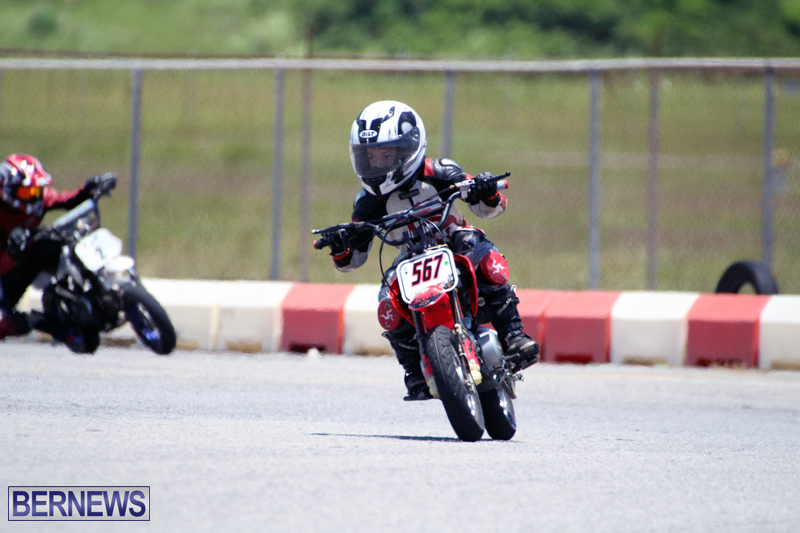 Nasaje Anderson took first place in all three heats in the Scooter 70 class where Jecoa Burrows was welcomed back to the circuit for the season in Heats 2 and 3. 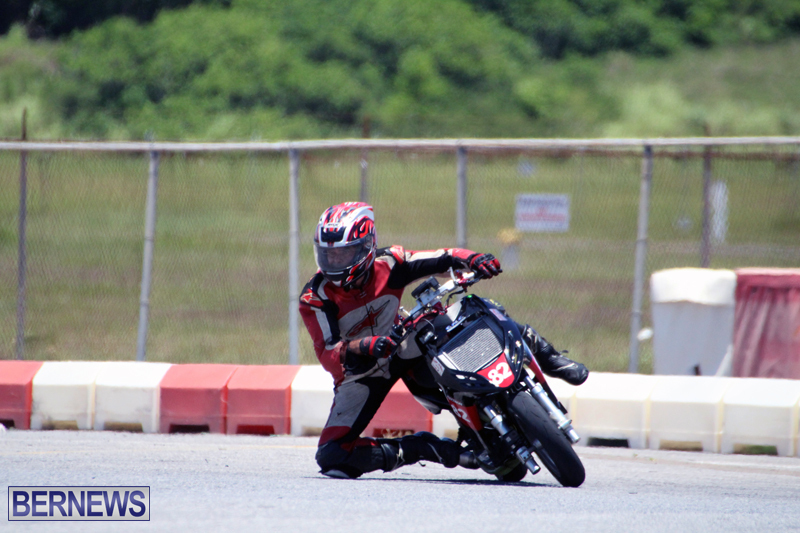 Edward Cook once again dominated the Scooter 4T class. 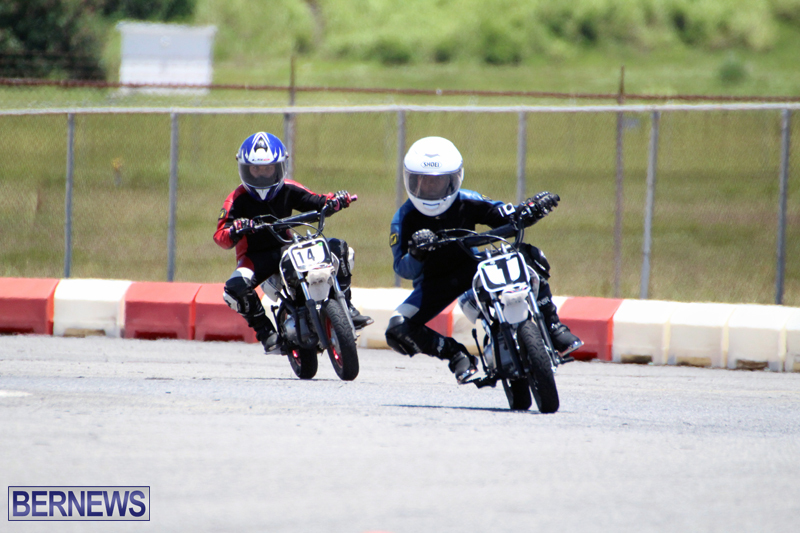 Today’s race day saw the first full Formula Xtreme class formed with young teens, Sheun Simmons and Nathaniel Binega-Northcott, alongside veteran rider, Jason Pacheco. 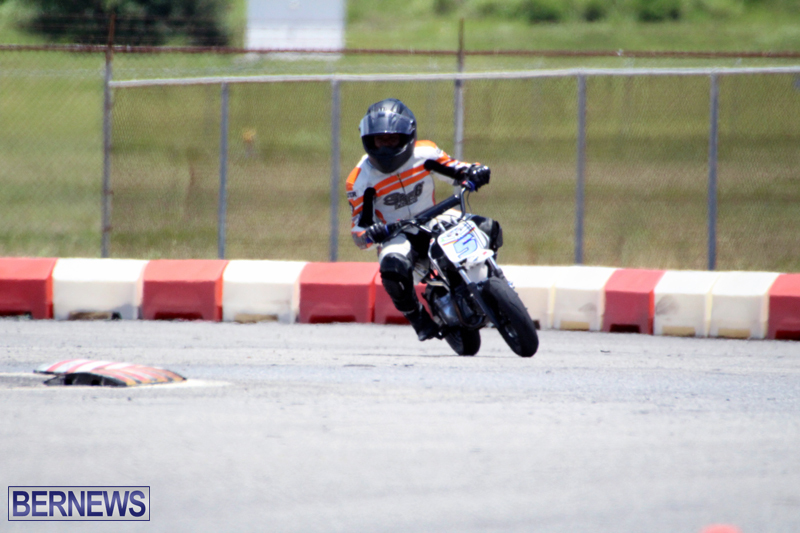 Binega-Northcott was dealt an unfortunate blow when his brakes failed, forcing him off track and taking him out of the running early on in Heat 2, after closing in on lead rider, Pacheco. 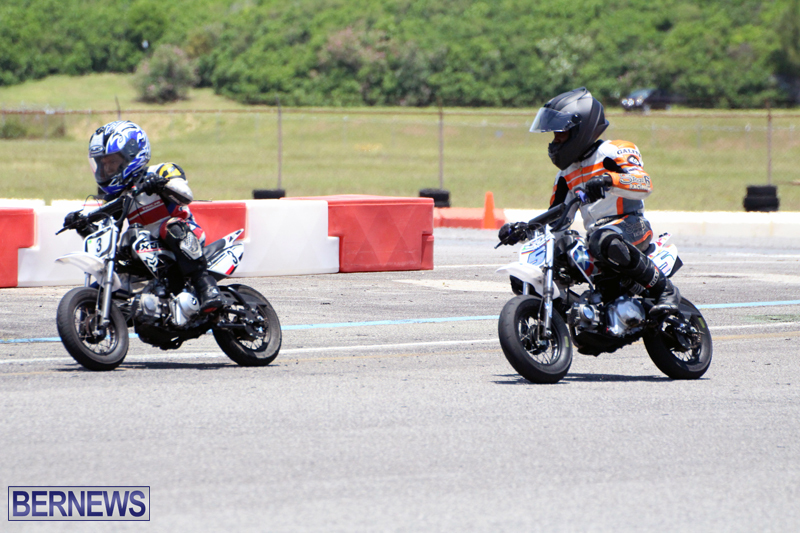 In the end, Pacheco took first place in Heats 1 and 2 while Simmons secured the final win in Heat 3. 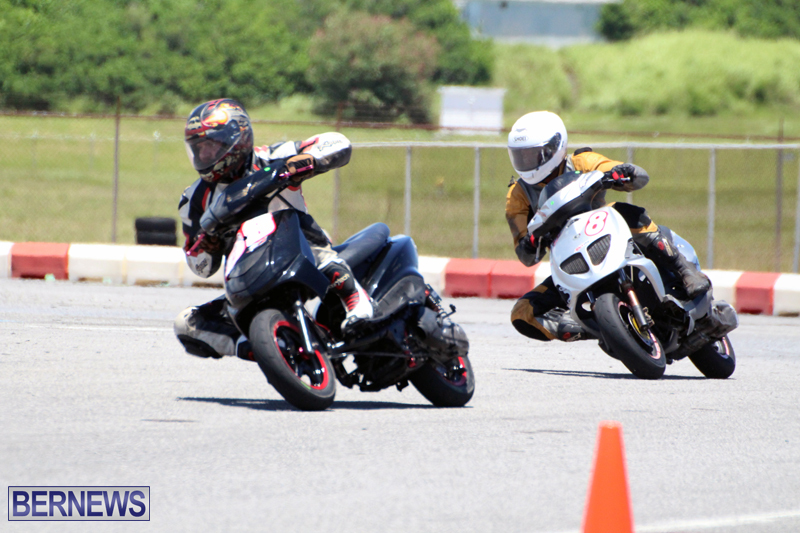 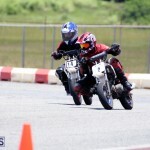 The day’s circuit races were broken up by head-to-head 2T and 4T drag races and a special showcase of Bermuda’s best electric motorcycles by Team Oni Racing Club [TORC].